Mary Catherine Rhedin. Antioch News. July 31, 1997. Cancer is a frightening disease. Despite the energy and funds which have been expended on research, there still appears to be no true “cure” for cancer. In the area of breast cancer in its earliest stages, even the mammogram which can detect cancer in its earliest stages is still a stressful test to undergo psychologically because should the results confirm cancer, the cure is still radical. Soon, perhaps, the entire arena of cancer treatment can take on a more positive note. University of Health Sciences at the Chicago Medical School in North Chicago is the facility where Dr. Steven G. Ayre does his research. He is a distinguished looking professional in starched blue lab coat who at forty-something is extremely excited about sharing his work on Insulin Potentiating therapy (IPT), which has shown success in the treatment of breast cancer. Mexico. The use of insulin in the treatment of certain maladies was developed in Mexico during the 1930’s by Doctor Donato Perez Garcia, Sr. 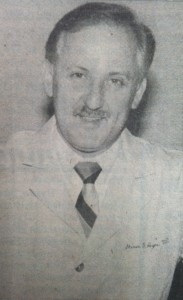 It was practiced by this pioneering physician at his Mexico City clinic for many years until his death in 1971, at which point his son Dr. Donato Perez Garcia y Bellon who had been working with his father since 1955, continued his work. In 1926, insulin was a new and exciting medical discovery. Dr. Perez was particularly interested in its use in the management of selected cases on non-diabetic malnutrition. Seizing on the possibilities for his own problem here, Dr. Perez proceeded to undertake the treatment of his condition by administering small doses of the hormone to himself by intravenous injection directly before each of hi meals. After several weeks, he was completely relieved of all his gastric problems and additionally, his body weight increased to that of normal levels. Even after he discontinued the use of insulin he remained in good health. From this experience, Dr. Perez concluded that insulin in some way had improved absorption of the food he had eaten. He also concluded that insulin had caused an enhancement of transmembrane transport, caused the cells to become more permeable, and changed them in a positive way. He hoped that perhaps he could show that other substance such as drugs cold be more effective when given concurrently with insulin. He reasoned that if this were true that lower doses of drugs could be more effective when administered with insulin. His experimental work with animals showed that insulin caused the crucial blood-brain barrier to be breached. In 1947 he developed the first successful protocol for treating a case of cancer with the therapy. It was because Dr. Perez could provide no sound basis for his result that this therapy found little acceptance. It was not that Dr. Perez did not try to communicate his ideas, he wrote voluminously to his colleagues. But it was difficult to establish a sound scientific basis for his therapy during a time when medical technology was not sophisticated enough to provide the necessary science. Dr. Ayre first heard of this work in the fall of 1975, and spent the month of November of that year working with Dr.
Perez at his clinic in Mexico City. He was very impressed with the results of the work that he saw produced by this therapy, though the work was completely empirical and without any recognized scientific basis. As science is the only legitimate language for communicating about medical discoveries, developing a sound scientific basis for the therapy has always been the focus for his work within insulin potentiation therapy or IPT as he calls it. However, since insulin is the most intensively studied molecule in the history of biochemistry, as the years passed, he came across the work of a growing number of researchers who seemed to be looking at non-diabetic uses for insulin. By 1985, he had compiled a significant amount of scientific evidence supportive of the therapy, and had worked this into a credible explanation for it. The material was submitted and accepted for publication in June of 1986. For many years now, Dr. Ayre has been laying the groundwork for FDS approval of IPT. The steps that must be followed to gain FDS approval are first basic scientific research that involved animal and tissue culture experimentation. Aware of the fact that the scientific validation of any medical therapy is essential to FDA approval, Dr. Ayre established Medical Renaissance Foundation. The Primary goal of MRF is to proceed with the scientific validation in this country of a form of medical therapy developed abroad and employed there with great success for 50 years. It is with great sadness that Dr. Ayre talks of a patient of his who just underwent a mastectomy as radical cure for breast cancer. He points out that the current treatment of breast cancer involves surgical removal of the breast, followed by chemotherapy, radiation, and hormonal therapy. Dr. Ayre hopes that his work with the Medical Renaissance Foundation will change the status quo. The effects of radical mastectomy as part of the cure of breast cancer weigh heavily on the patient in the areas of cosmetic defects, infertility, and problems of psychological nature. Mastectomy is not required with IPT. Dr. Garcia wrote in the European Journal of Cancer of a 32-year-old woman who found a lump in her right breast in November 1988. A subsequent mammogram and biopsy confirmed the cancer. After eight weeks, the lump was no longer palpable. A mammogram at three months showed no signs of cancer. Insulin should not be considered the curative but the catalyst in all such instances. The presence of the insulin allows the drugs involved in the chemotherapy to successfully penetrate the cancer cells. The insulin permeabilizes cancer cell membranes to anticancer drugs. This allows for a higher and thus more effective intracellular concentration of these cellular agents. This can be accomplished using a lower total dose of medication, thus reducing the many dose –related side effects of these drugs. As with any therapeutic practice, there have been failures with it, and far advanced cases predominate in these. Insulin potentiation therapy is not a miracle; it is simply medicine – and it may prove to be very good medicine. Through his teaching appointment in the Department of Family medicine at the Chicago Medical School, Dr. Ayre managed to interest members of that institution’s Department of Pharmacology and Molecular Biology in his work with IPT. With financial support and invaluable collaboration of one of the pharmacologists, Dr. David Mosnain, he undertook an animal study to investigate the hypotheses that insulin could influence the trans blood/brain passage of the AIDS drug AZT in the rat brain. 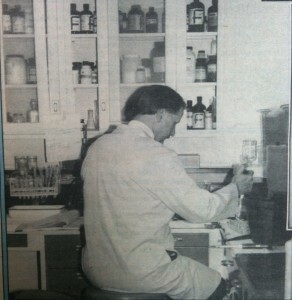 Over the summer of 1988, and with the assistance of a very small staff, he managed to prove that insulin can modify the blood/brain barrier and allow better AZT penetration into the substance of the brain. He wrote up the data and presented his findings to conferences such as the V International Conference on AIDS in Montreal in June 1989. Coincident with his efforts to publicize IPT via these scientific meetings, he submitted data to the Food and Drug Administration. On December 5, 1988, he received his investigational New Drug Number (IND) from them, granting his license to proceed with human clinical trials using insulin in conjunction with AZT.